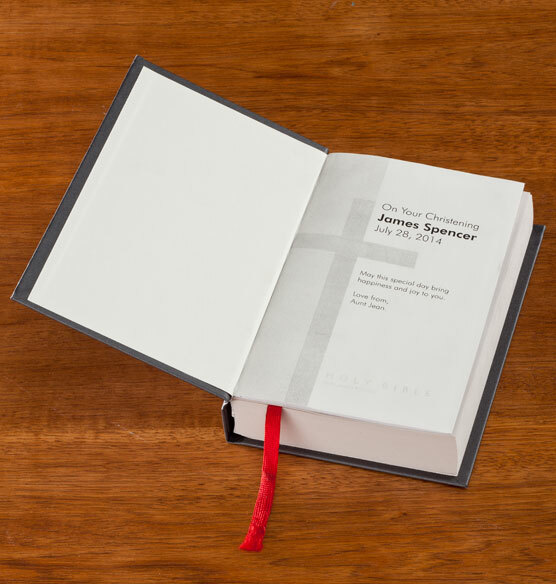 A personalized Holy Bible makes a meaningful gift for the milestones in a loved one’s faith journey. 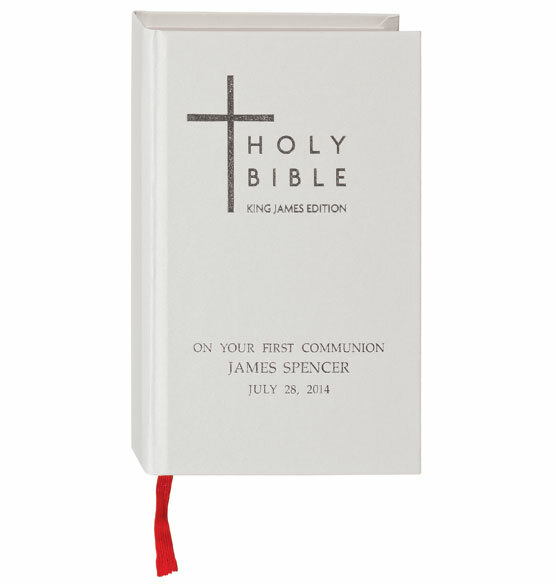 Commemorate a christening, First Communion or wedding with this King James Bible, personalized on the front cover to celebrate the special day. Inside this custom bible, add a two-line personal message on the first page to express your congratulations or share a meaningful quote. IT IS OF GREAT IMPORTANCE TO READ AND UNDERSTAND THE WORD OF GOD IN MY FAMILY. THIS PURCHASE IS A WAY FOR MY DAD TO ALWAYS REMEMBER WHAT GOD HAS DONE FOR HIM AND OUR FAMILY. BEST ANSWER: Thank you for your question. The bible does not have any pictures or illustrations. We hope this information will be of help to you. Is this a Catholic Bible, ie does it have the Deutrocanonical books? BEST ANSWER: Thank you for your question. It is the King James version. We hope this information will be of help to you. The response doesn't answer my question. I know it is a KJV. If I should rephrase my question, then I wanted to asked if the bible had 66 books or 72 books. I apologize for any inconvenience. It has the 66 books. My granddaughters name is hyphenated so it is 23 characters. Is it possible to do this? BEST ANSWER: Thank you for your question. There is a limit to 22 characters for the name. We hope this information will be of help to you. 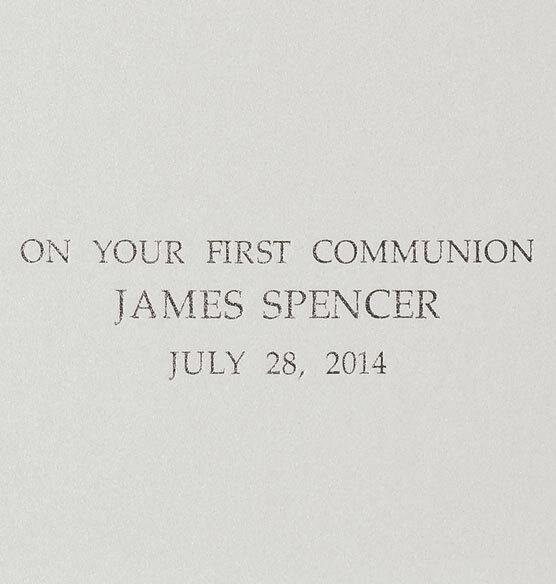 Want to type out the entire date June 20, 2015 . The sample shows this but below only 8 characters available, please advise? BEST ANSWER: Thank you for your question. For the personalization on the Holy Bible as long as the date is entered DD/MM/YYYY the personalization will have the month written out on the Bible. We hope this information will be of help to you.